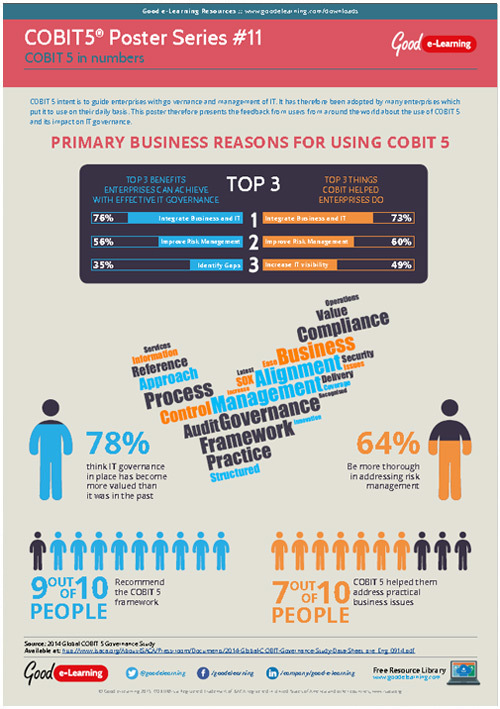 COBIT 5’s intent is to guide enterprises with governance and management of IT. It has therefore been adopted by many enterprises which put it to use on their daily basis. This COBIT 5 poster therefore presents the feedback from users from around the world about the use of COBIT 5 and its impact on IT governance. Download this COBIT 5 learning resource and you’ll also get instant access to 520+ business & IT learning resources!